Perfect for business or residential locations, our thoughtfully orchestrated combinations of texture, form, and color will beautify your front entrance, outdoor cafe, or backyard. We choose the containers and plants to complement your space, then refresh them every quarter so you have convenient and reliable year-round beauty with virtually no effort on your part! Our expertly chosen plants and containers provide natural beauty with far less water than conventional gardens. Tell us what you need! We’ll happily design a custom container garden to meet your goals. Our container gardens are perfect for beautifying your front entrance or outdoor patio. A container garden is ideal for dressing up your outdoor cafe or business entryway. Invite clients in! What better way to thank a client or show a loved one you care than to provide a year of maintenance-free beauty for them at their home? Ideal for Home Realty stagings, our program can make the difference between a ho-hum listing and a hot one. 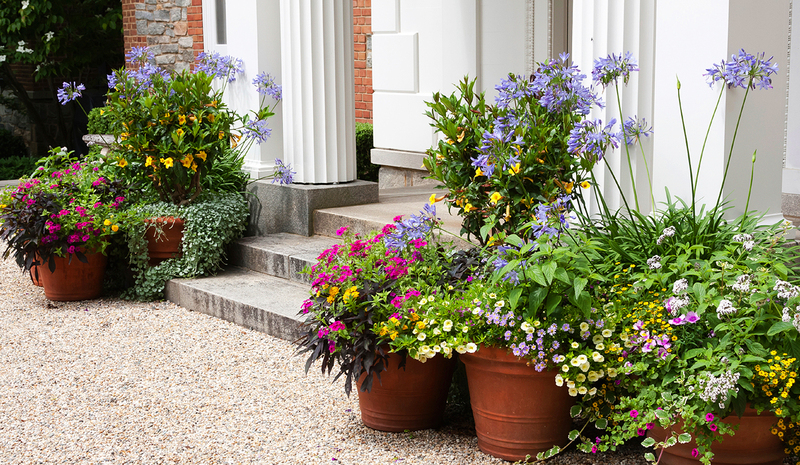 Draw prospective buyers in with welcoming curb appeal. Take the confusion and drudgery out of gardening by letting us do the work for you. Want to take care of the landscape you have but don’t know how? Or want to create a new one and are unsure what to plant and when to plant it?